Radio Studio Hire for radio DJ presenter shows 'live' guest contributors to programmes and Voice Over recording studio too. 1 hour booking £95 no VAT to pay. My studio is great for DJ Presenter studio hire for self operation including Podcasts. However if you'd like to book the studio for voice over recording, news or "live" transmission, including a contributor to a programmes the studio is ideal for 'down the line' interviewees. I also offer facilities for all talk broadcasts including 'phone in' shows. 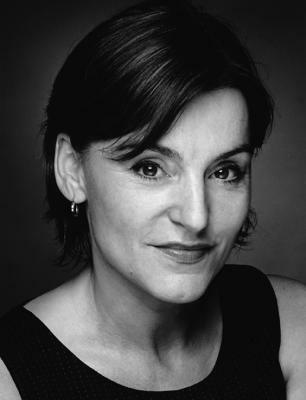 Voice over artists can record showreel demos with scripts provided. Also help with DJ prep material too. All payments made before studio hire date. Tea & Coffee for all guests, it's a personal service. I use better than ISDN broadcast links. (with up to 320k with talkback) The Source Connect links are free and included in the stated hourly price. Should end user studios not have accounts for either, I provide broadcast links for them. End studio users will need the Chrome web browser for 'in take'. The radio studio rent includes my services as BBC trained staff Producer & Studio Manager & CBC Radio & TV Producer. The studio is also good for film TV video shoots. Need a broadcast radio studio for a programme guest, voice over or DJ studio hire to record a show or demo ? Yes? then contact Radio Studio Hire here in the Weald of Kent, 25 mins from London. 2 trains per hour from Central London. 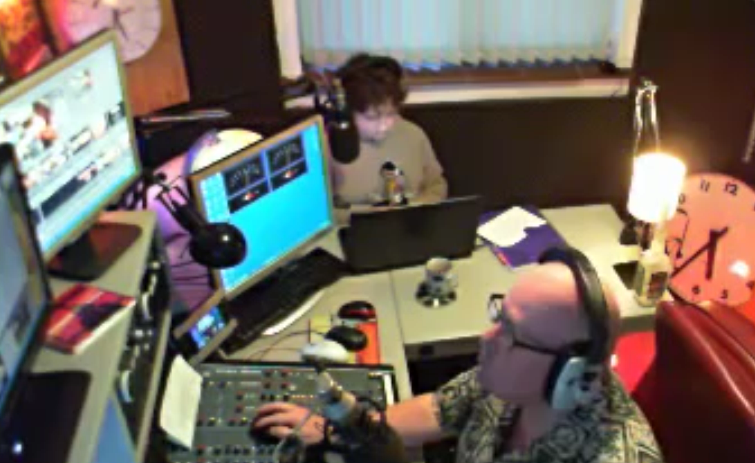 Our broadcast studio hire is good for DJs, Voice artists and with technical operator and producer. Complete broadcast services also for remote - outside broadcast solutions too. "As used by SKY TV News, BBC Network Radio, CBC (Canada) BBC Radio 5, BBC Radio 4, Cyber Hot Hits DAB London, BBC Radio Kent, BBC Radio Cambridge, LBC talk radio (London), TalkSport, BBC News, Solar Radio, CNN. We regularly supply SKY TV with radio feeds"
Full audio digital editing facilities, studio lounge and office for programme preparation for either recorded or "live" programming. You and your guests will be well catered for with lunch supplied if required. Bottled water and other refreshments also provided. With our studio hire we're close to good restaurants, pubs and shops. We offer an excellent Green Room. Smoking outside area. Ashford International Euro Star: 20 mins, Paris 4 hours. World famous Leeds Castle & Sissinghurst Castles both 10 minutes away by road. We're based in Staplehurst Media Village Kent UK on the A229, 8 miles south of county town Maidstone Kent. Good overnight accommodation close to our studio too. Great parking at our studio. See Google map below. 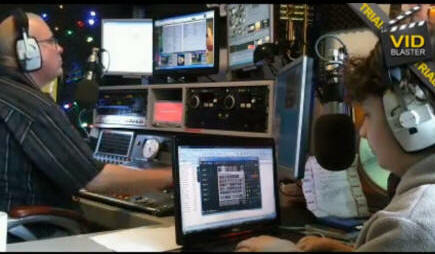 This is my studio & I personally use it for 'live' & recorded programmes for both National and local radio. As heard on BBC Radio 4 & 2. It also feeds Sky TV with programming on a regular basis direct to their uplink. It's also TV geared for streaming 'live' TV like Ustream/Livestream/DaCast. Full VOIP with Skype into desk with Sonifex YH-02 telephone hybrid system. ISDN, Source Connect broadcast 'live' links in HD quality,from my studio to your named studio location. We had a great afternoon with Channel 4's Phil Spencer from the hit TV show Location, Location, Location. He recorded new TV Commercial and Government property promo. He used our studio & digital links to 2 separate locations from Radio Studio Hire. "Thanks Rod - it was fun and see you soon Phil"
"Christmas and booked to promote Taylor's Port on 11 radio stations down-the-line from central London. Suddenly the studio went out of business.I then found Radio Studio Hire on the Internet. They confirmed instantly. 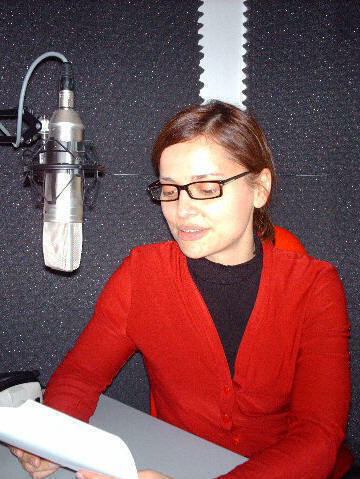 Thoroughly professional with clinking wine bottles for sound effects." I was very impressed with the recording session yesterday. It all went very smoothly, extremely quick, efficient and professional and the result sounds absolutely perfect. I’m currently working on various video projects for some bigger clients and will probably get back to you at a later state for some other recordings if that’s okay. Thank you very much for sending the files so quickly and thanks again for the great job, and the superb sound quality. I didn´t knew the service before – but it works great – It was almost like having Alan at our recording suite (except that I couldn´t see him). Hope to hear you again some day. "I'm happy to recommend this studio hire service for Radio Showreels. I recorded a demo with Radio Studio Hire.com and was given some great support and creative production ideas for the radio showreel. Great coffee too. Thanks to a super producer. great service many thanks for the early start. Many thanks for your production help & studio, the audio brochure comes out in August. See you again. 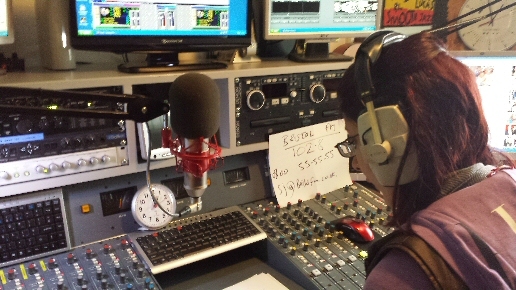 "Radio Studio Hire is a fantastic place to work. Very often the environment of a studio puts pressure on a presenter to "get in Get out" Rod Lucas and the studio allow time to think, concentrate and perform, Knowing that the experience of Rod and the fantastic quality of the equipment will provide the best possible results"